HomeHEALTH INFORMATIONHELLP SyndromeHealth InformationHave You Checked Your Heart Health Lately? If you're a new mom, your own heart health may be the furthest thing from your mind, but if you're a preeclampsia survivor, it's something you and your physician should discuss. Why? Because research has shown that preeclampsia, along with a few other pregnancy complications such as fetal growth restriction and preterm birth, may predict your future heart disease. A history of preeclampsia increases future risks of high blood pressure, heart attacks, stroke, blood clots, and kidney disease. Women who have repeat or severe preeclampsia, or preeclampsia accompanied by still birth are at greater risk of cardiovascular disease than women who have high blood pressure only and during a single pregnancy. Women who had growth restricted babies or who delivered preterm were found to have higher blood pressure 18 years after delivery. The risk of pregnancy complications and later cardiovascular disease is cumulative. Women who experienced preeclampsia, preterm birth, and fetal growth restriction were found to have 7 times the risk of hospital admission or death from coronary artery disease. I had high blood pressure during pregnancy. Are there steps I should be taking now to monitor my heart health? I had a fetal growth restriction complication or delivered a preterm baby. What should I be doing for my best cardiovascular health? What risk factors (unrelated to pregnancy) do I have for cardiovascular disease, such as diet, family history, etc.? Do any of my test results indicate risk factors for heart disease, such as high cholesterol? Do my overall risk factors or risk factors related to pregnancy suggest that I should be referred to a cardiologist? 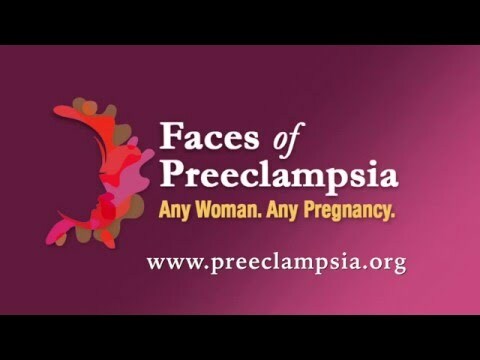 Sadly, a study by Rana, et al (2011) found that a substantial proportion of internists and OB-GYN physicians at a major hospital in Boston were unaware of any health risk associated with a history of preeclampsia. The authors concluded that this deficiency may affect the clinical care they provide. That means that as the patient, you may need to print out this information and take it to your physician so they know why your pregnancy history matters. It's unlikely you will need stents or bypass surgery, but a good number of preeclampsia survivors report difficulty getting their blood pressure to return to normal and may need, even temporary, medications to normalize their BP. Eat a heart healthy diet and get regular exercise. Stay at a healthy weight, specifically a BMI of 25 or less. Talk with your doctor about your specific family health history, your pregnancy history and the benefits of taking low dose aspirin. Know your numbers - blood pressure, cholesterol, and blood glucose - and ensure these stay in the healthy range.